Toshiba M50-A-11N 4th Gen Business Laptop Core i3-4005U Haswell 15.6" 6GB 500GB. This ultra-light and ultra-slim laptop gives you amazing productivity on the go. 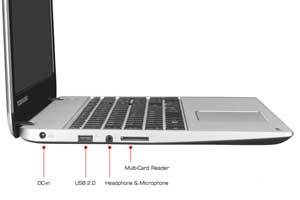 This fully featured laptop is equipped with long battery life, high quality audio and video plus multiple options of connectivity. 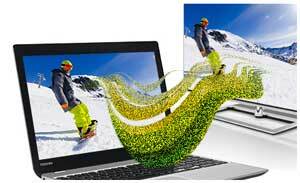 Packing all these latest features and powerful processor in slim body, it casts a stylish impression. Toshiba M50 gives a premium look and comfortable feel with its silver-brushed aluminum chassis and hair line finishes whereas the textured pattern offers increased durability. This slim laptop is loaded with a 39.6cm (15.6") display, illuminated keyboard and integrated webcam which offers you more reliability and enhance your user experience. 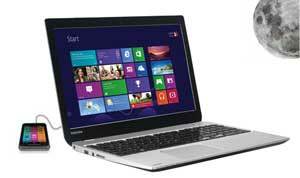 Toshiba M50 is equipped with HD LED display which delivers vibrant images with sharper details. A 39.6cm (15.6") TruBrite HD display with LED backlighting is ideal for enjoying your media. The fast RAM and large hard drive combines together ti give you a smooth performance in every task plus also give you enough space to save all your favourite media. 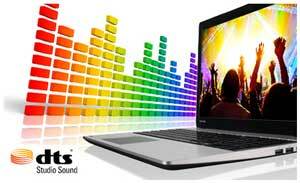 Immerse yourself in amazing sound quality of Toshiba M50. Its built in speakers are positioned just below the screen so you can enjoy your favourite sound tracks at their best. The speakers are combined with DTS sound audio suite which delivers more dialogue clarity and deeper bass. 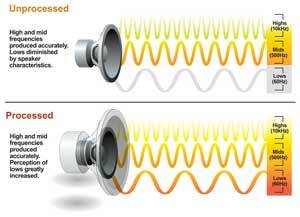 Its high frequency definition lets you have a premium listening experience through its speakers or by headphones. Enhance your usability with Windows 8. It is designed in such a way that it gives you more productivity in less time by allowing you to put what matters most on start screen. It gives you instant access to your app, sites, games, etc. Combined with Intel Core processor it gives you amazing response. Toshiba M50 lets you enjoy your media on big screen and in HD quality by using Intel Wireless Display (WiDi) or Miracast technology. 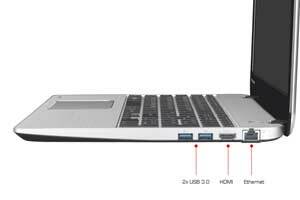 The USB 3.0 gives you speedy data transfer by offering you ten time faster data transfer rates than USB 2.0. Files which took hours in transferring can now be transferred in seconds and minutes. It also features a Sleep N Charge USB port which lets you charge your mobile devices even when the laptop is turned off. You can also share your files wirelessly by using Bluetooth 4.0. You can easily connect to the compatible device and can also use it to connect peripherals like headsets, speakers, mice and keyboard. Eco Utility is a power saving app designed by Toshiba which gives you better energy saving usage. Once you activate this app you can monitor and begin reducing your power consumption. It also shows a chart which shows you increase and decrease in power consumption when this eco mode is on. When the eco mode is activated the laptop starts saving power by automatically disabling LED and keyboard backlighting, dimming display brightness and also reduce the time before the hard drive sleep mode starts. Toshiba M50 also features an integrated web camera which lets you connect to your friends easily. You can take pictures or have video conferences with your colleagues and friends from the comfort of your home. Communication is made much easier with its built in HD web cam.